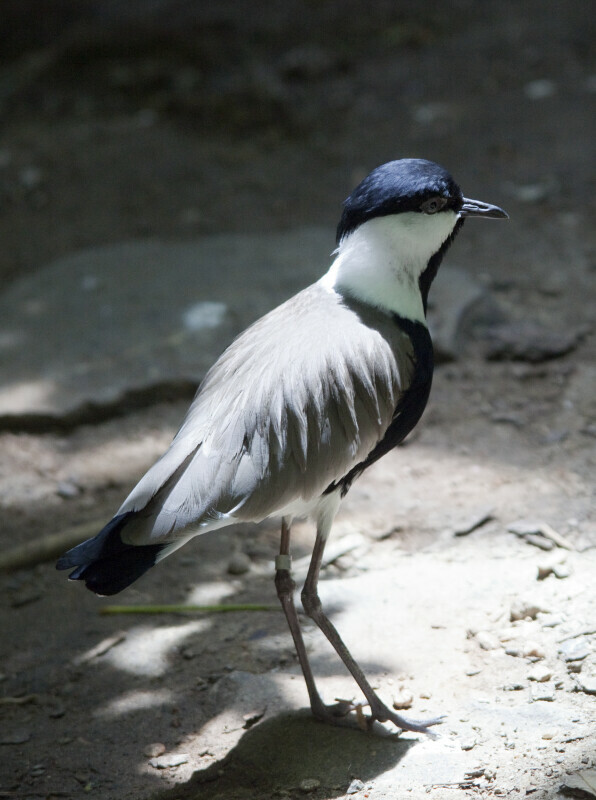 Spur-winged plover (Vanellus spinosus) standing in a sunny patch of the aviary at the Denver Zoo. Their long legs are well-adapted for wading, and this species builds its nests on the ground. WARNING: You are about to download a 14.8 MB TIFF!